We first hit 4 million active visitors across all chartbeat sites over a month ago, but now we can confidently say it isn’t a one time thing. 4 million and cruising!! 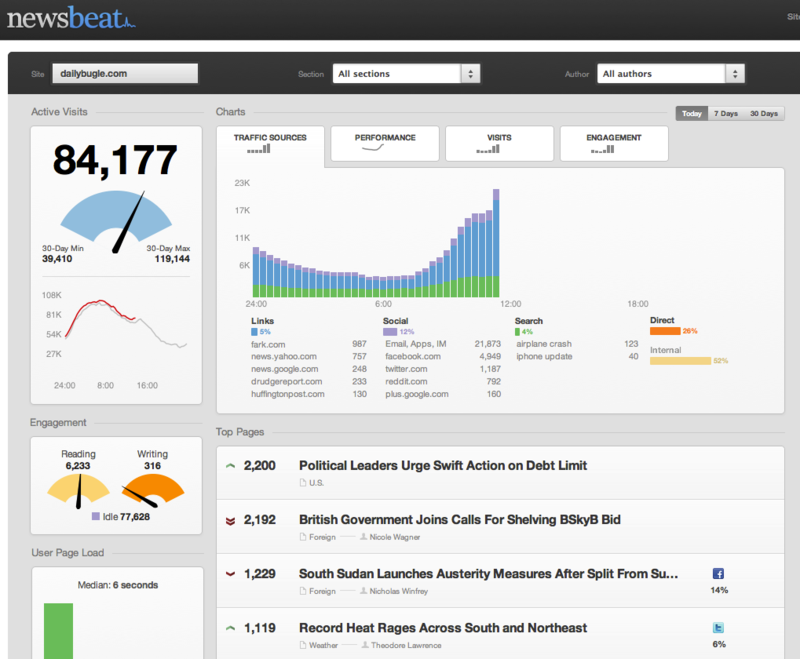 Thanks to amazing partners and some very forthcoming users, we know people love chartbeat but we’re confident you’ll absolutely obsess over newsbeat. We’re really excited for the road to come! 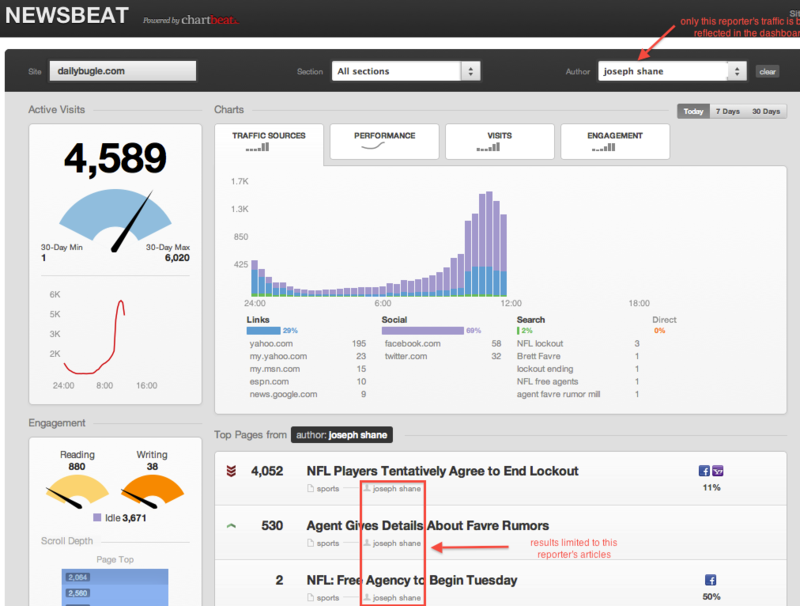 Today, we’re psyched to introduce a new feature on the chartbeat blog – the chartbeat Master Class. We have really cool customers who think of amazing and unique ways to use real-time data…so why not show it off? Who knows, using their tips and tricks might make your life a little easier, too! Our developers LOVED this technique when they heard about it. 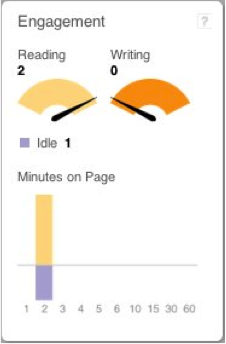 It’s a no-nonsense, cool use of the engagement features on the dashboard. Martin Tajur, a web app developer for listhings, pipedrive, and skitrackapp is always working to make his products better. But since his apps are in constant use, it’s tough for him to know when to push out changes, especially ones that require a server restart. When it’s time to push a change, Martin uses the engagement features to check what his users are doing and waits for them to stop writing before pushing the changes. That way no one gets disturbed. Pretty neat! If you’re using chartbeat in a slick way, we’d love to hear about it and maybe feature you in our Master Class series. Drop me a line on Twitter or email with your best move and if it makes the blog, we’ll send you a righteous chartbeat t-shirt! We’ve been busy! Over the past six months, the chartbeat crew has more than doubled in size to 18(!!) energetic and eclectic people. And between our development, product, and community teams, we have a lot to say. We want to share some of the challenges that have come with tracking millions of people simultaneously across the web (and show off some sweet code), feature some of the awesome people who use our products along with the inventive ways they’re using chartbeat, and tell you all about new and exciting features and products as they’re built. Hmmm, did we hear someone say ‘newsbeat’? To share all this great stuff without giving everyone information overload, we’re reorganizing things a bit. 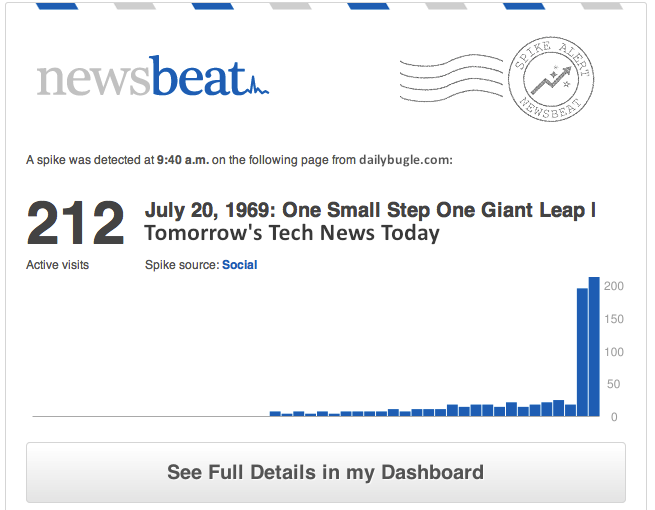 As of today, you’ll find all developer and technical posts on the brand new Chartbeat Engineering blog. You should check it out! Product updates and other chartbeat community posts will stay here. And, of course, you can always get the latest updates for both blogs on Twitter.